Pakistan had the satisfaction of beating New Zealand for the first time in 13 ODIs as a closely-fought ICC Women’s Championship series culminated with a 2-1 victory for New Zealand in Sharjah on Sunday. A gritty performance from Pakistan in familiar conditions saw them fight it out tooth and nail in the series opener on 31 October which they lost by eight runs, before succumbing by seven wickets in the second match. 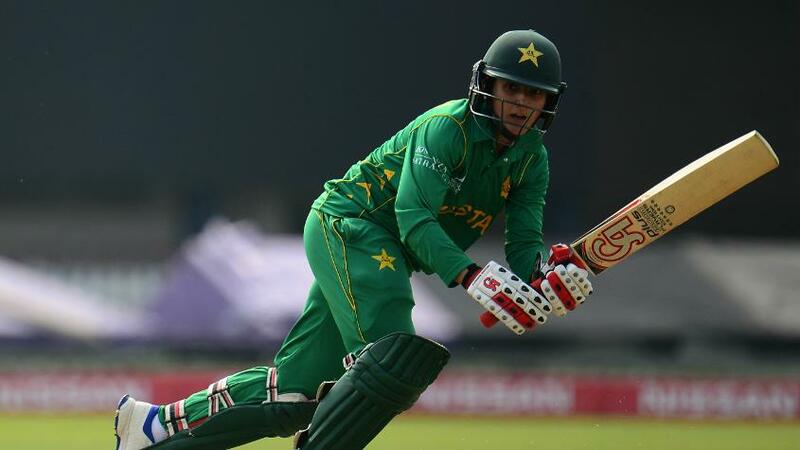 However, captain Bismah Maroof and former captain Sana Mir combined to help win the final match of the series by five wickets. Teams get two points for each win, one point for a tie or no-result and no points for a loss in the ICC Women’s Championship, which will see ICC Women’s World Cup 2021 hosts New Zealand and the three other top teams gain direct qualification to ICC’s pinnacle women’s 50-over event. The remaining four sides will get a second chance through the ICC Women’s World Cup Qualifier event. India, New Zealand, Pakistan, South Africa, Sri Lanka and the Windies are the other sides in the ICC Women’s Championship, which runs until 2020. In the first series of the ICC Women’s Championship, the Windies completed a 3-0 triumph over Sri Lanka to notch a full six points and lead the points table, Australia beat England 2-1, while South Africa will play at home against India from 5 to 10 February 2018. Pakistan captain Bismah Maroof: “There were some areas where we lagged behind and which we will try our best not to repeat again. Overall, I’m satisfied in comparison to our past games but there is a lot we need to work on. The results were certainly not as per expectations. Nobody comes to lose. We could have had it 2-1 in our favour. But that is part of the game. We are more confident now. The (Pakistan) bowling side has done tremendous work in curtailing New Zealand players to not go on hitting as they would against us in the past. Especially Sana (Mir) and Sadia (Yousuf) were very good with the ball. Also, the batting line has shown good improvement; Javeria (Wadood), (Bibi) Nahida and I had good partnerships. The girls have shown an obvious improvement under a new coach Mark (Coles) and management, so I am happy. But we need to stay more on the wicket. We have to make the most of the key moments and finish them well, that’s where we are weak and need to work on. Plus, its crucial to improve fielding too. The difference (between the two sides) was in fielding. They were really good with that and we were good with bowling. In batting, we lacked experience so couldn’t make most of the key moments. This was our first tour after the World Cup, in which our performance was not good and then playing against such a strong team had had a double pressure on us. New Zealand 240-9 in 50 overs (Sophie Devine 103, Suzie Bates 36, Amelia Kerr 30, Sana Mir 3-33). Pakistan 232 in 48.3 overs (Javeria Wadood 55, Bibi Nahida 51, Bismah Maroof 41, Sidra Ameen 33). Pakistan 147 all out in 49.1 overs (Bibi Nahida 39, Bismah Maroof 36, Sana Mir 31, Amelia Kerr 3-35). New Zealand 148-3 in 24 overs (Sophie Devine 62, Suzie Bates 33). New Zealand 155 all out in 43.4 overs (Curtis 50, Sana Mir 4-25). Pakistan 156-5 in 48.5 overs (Bismah Maroof 36, Sidra Ameen 32). Note: These rankings are as of 6 November 2017, after the Pakistan-New Zealand ODI series.